Edit: Good news! This looks like an ongoing story and not as doom and gloom as we originally thought. The most important thing we can do is support them! 02/01/2019: Petapixel’s new article goes into more detail about why Tetenal is important, and answers some of my previous questions. If you read Petapixel’s article, Photoklassik International’s editor-in-chief Marwan Mozayen is helping with the restructuring efforts so not only is anything announced by Photoklassik straight from the horse’s mouth, but it’ll be good to have someone championing them here. I know that some people have expressed apathy to Tetenal’s trouble, evidently finding their products to be overpriced, and I don’t use them myself, but I’ve heard from some that they are the only manufacturer for some certain photographic chemicals. I don’t know which those are, and I don’t know how much of an impact this will have on the ecosystem. I don’t like it. It’s not all doom and gloom though, evidently the employees are trying to organize a buyout and keep the company going after April 1, but it might be on a scaled back, as-needed basis. I wish them well and hope they can manage it, and hope they’re more willing to hear suggestions from their customers, because having easy communication lines will do a lot to making them successful. 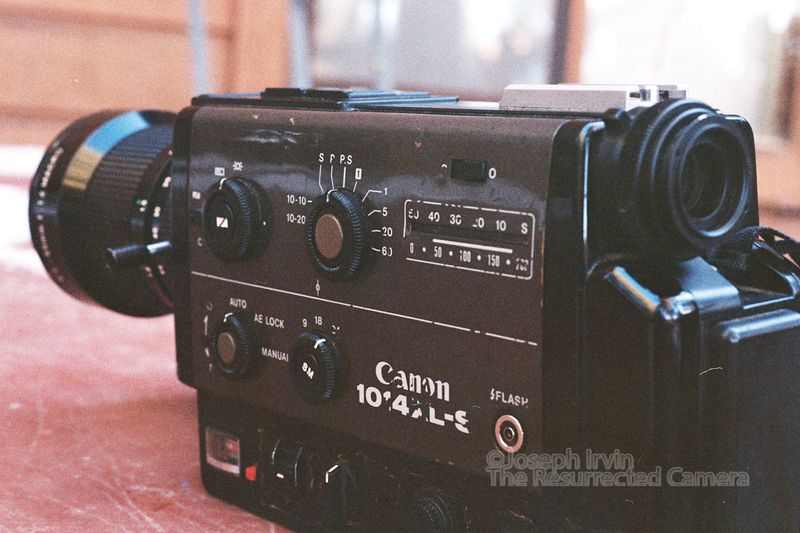 This Canon 1014XL-S is the first super 8 camera I used, on which I shot my first experimental documentary, Overwhelming Majority. My friend/classmate/colleague bought it at a garage sale in California, had it sitting around his apartment for a year or two, and let me borrow it indefinitely. I eventually gave him money to ensure that it is officially mine. For the last two years I’ve been shooting a documentary on the Colorado Springs tourism industry using this camera, and it has served me well. 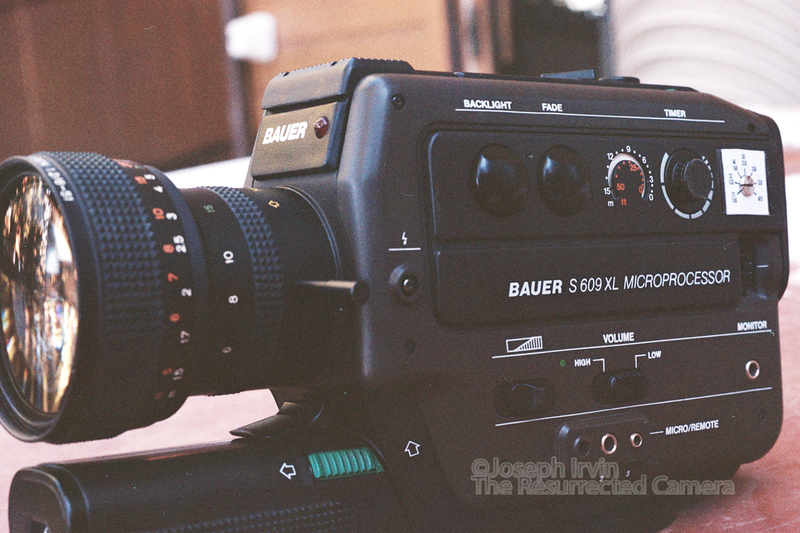 Many say that the 814/1014XL-S models are the best super 8 cameras ever made. That’s not true, because there are features offered by other cameras that I’d like to have, but what this camera does give the filmmaker is versatility. It has a great range of framerates, an intervalometer, a zoom lens covering 6.5-65mm, accepts all the necessary film speeds, takes only AA batteries, has exposure compensation as well as manual aperture control, and the option of two shutter angles of 150 degrees for outdoors or 220 degrees for indoors. Plus lots more. I also find it do be pretty ergonomic, with a handle that easily flips up or down, the filming “trigger” (for lack of a better term) can be set so that it films with or without the button constantly held down. Most controls are on one side of the camera, which is where I like them. My copy has seen much love over the years: plenty of scuffs, ancient masking tape on parts, a previous owner’s contact information carved into the bottom plate, the side plate came off, a UV filter that is jammed on so tight it can’t be removed, and the eyecup was lost. I call that character. What matters most is that it works. And it works after having taken a considerable beating, and I’m a bit to blame for that myself I’ll admit. It’s been thrown around my Jeeps for two summers in a row with nary a complaint. It’s about 90% working. I guess that so far, my plan to shoot single-8 film hasn’t worked out too well, though I hope I’ll get around to it at some point. The problems mostly arise from not having many choices for single-8 film stock, or double super 8 film which is slit down and loaded into cartridges by hand, of course requiring a lot more hardware and room than I currently have. So it’s all been super 8 for 3 years now. When the time is right though, I will of course be ready, having acquired 30 reloadable Fuji single-8 cartridges, plus having a very fine camera with zoom, normal and wide angle lenses. Or, when the Kodak super 8 camera is finally released, I’ll have plenty of c-mount lens options for that. Going back to my first post on this camera, I wanted to make more film pictures of all my small-format motion picture cameras. I even broke out the tripod and my 4/50 S-M-C Macro-Takumar, but then made the total n00b mistake of not resetting my ASA so I shot this entire roll of Fujicolor 200 between 500 and 800 instead of at ASA100 as I’d planned. Live and learn I suppose, and thankfully the shots were all usable. I’ll do more someday. Last fall I bought a Lomokino to finish up a super 8 project I started during my Experimental Cinema class Spring 2017. Shot two rolls of Tri-X over Thanksgiving 2017 but then just sat on the footage for almost a year. The super 8 footage has been cropped to 1.66:1 so to keep the proper aspect ratio for the Lomokino 2.66:1 footage I had to get some pretty large scans. I opted to send the film to North Coast Photo Services in California (if you’ve browsed Ken Rockwell’s site you’re probably familiar with them; I’ll admit that it’s where I heard of them) because of their 5035×3390 scans. 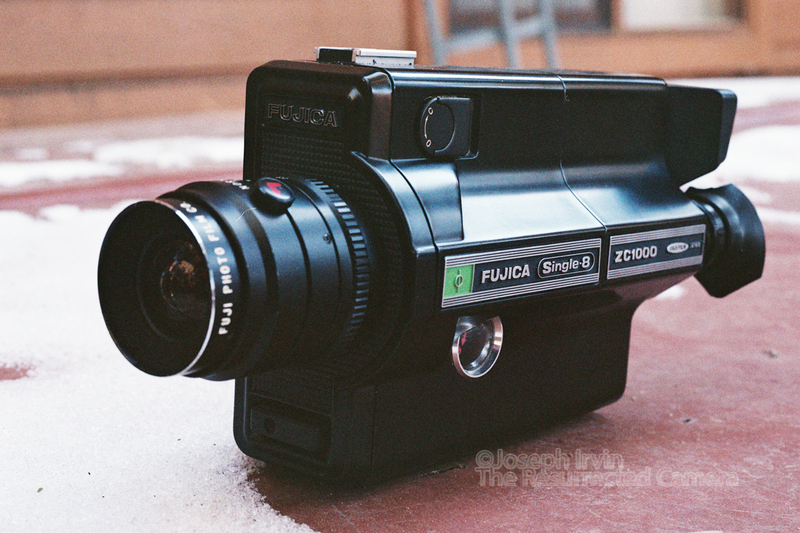 It turns out that they’d never had anyone send them Lomokino footage before and had a pretty tough time with it. I got 4 frames per scan (which I expected, the Lomokino is 2-perf and regular 35mm cameras are 8-perf) and the top frame of each picture was slightly cut off so it wasn’t ideal, but better than scanning it myself I think. I also asked for flat scans but it seems that they either can’t do those or forgot; oh well (though they did email me the scans right away for approval, at no extra cost, so I have to give that to them). Total cost with shipping there and back: ~$60. Then all the frames have to be cut out and stitched together digitally. The best way I found was to not crop the individual frames out, just take the scans and turn them vertically and import them into Final Cut (thankfully my school has Final Cut Pro X on all the Macs on campus). Drag each picture into the timeline and make them 5 frames long (a length I had to decide beforehand), then duplicate them 3 times. Then, working in a custom 3390×1234 framed project, I cropped each frame one by one working down each picture. It took about an hour and a half per roll and the footage is a bit jumpy, but it worked. 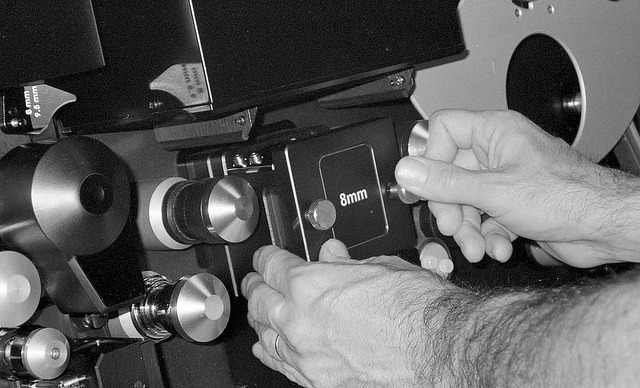 Labor intensive, yes, but how was I to know that only a couple weeks later the Film Photography Project would announce their scanning service for Lomokino films? I already mentioned they’re scanning super 8 (and 16mm and 35mm as well). 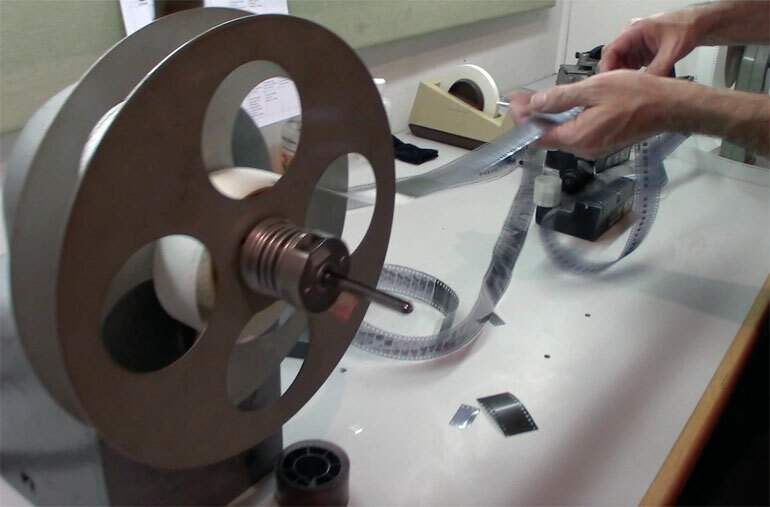 There really are no cheap (and acceptable quality) routes for scanning movie film so it’s usually a question of whom you send your film to, for developing and also scanning. Get the film developed by your local lab (or develop yourself), send it to FPP for $20 per roll of film (and they even mention volume discounts for super 8), with no headache of having to deal with cropped images, jumping frames, and it’s not going to cost much more either. Something tells me this is going to be a pretty damn popular service; I certainly will be using FPP the next time I shoot the Lomokino, and probably for super 8 as well! -no LOG (flat) scans, but it is HDR so you’re not losing any information. -the price for a roll of Lomokino 135 film or 50ft roll of super 8 film is a flat $20, whether you scan in HD, 2K, or 4K. Photographs courtesy of Michael Raso at the Film Photography Project. 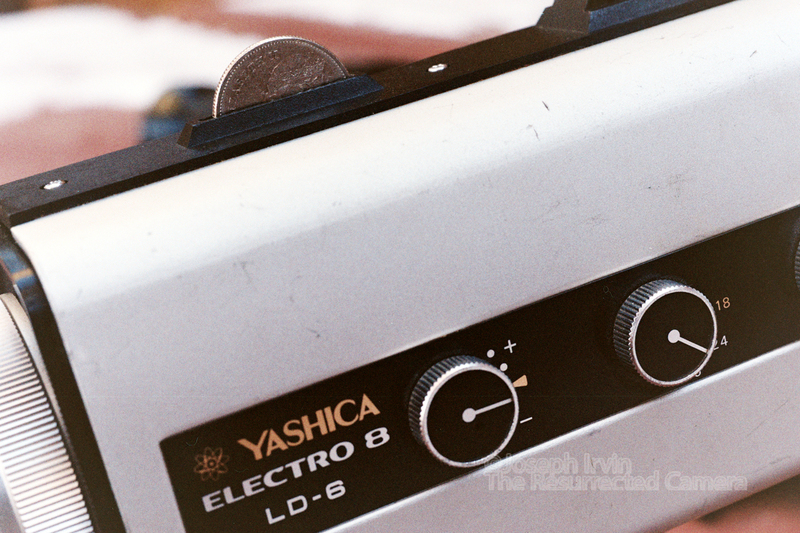 I bought the Yashica Electro 8 LD-6 because I wanted something that I wouldn’t worry about loaning out to budding would-be filmmakers. 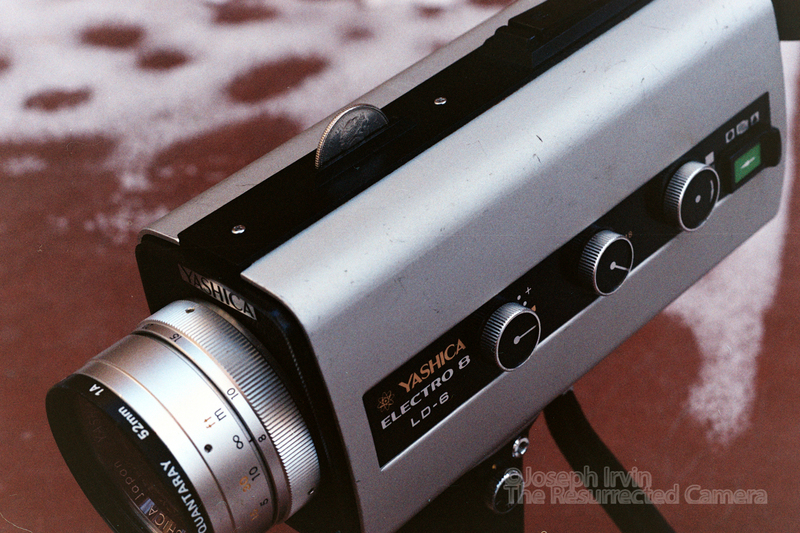 Yashica super 8 cameras are not as well-known but supposedly their lenses are great–I’ll put that to the test myself in the next month or two. The camera might look a little basic at first glance, but as far as I can tell it has all the essential features, which means that even though I’m not necessarily a beginner anymore this camera will see use with me. Cameras of this sort have one glaring weakness, though: the filter key! 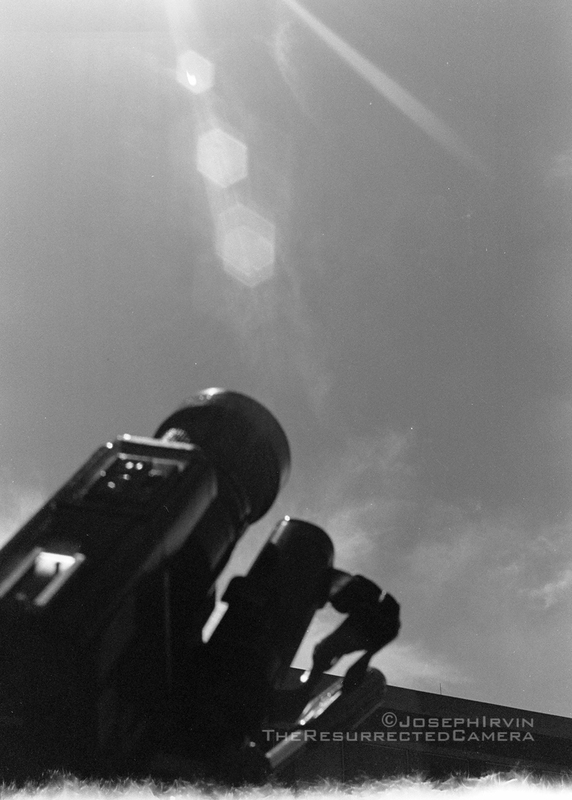 1965-2008 the vast majority of small format film was tungsten-balanced, and camera manufacturers assumed that the unwashed masses using super 8 would not know to use a Wratten 85B filter when shooting outdoors, even though they were installed inside every super 8 camera. So, in an attempt to make the consumer-grade cameras as idiot-proof as possible, they made the 85 filter automatically engage unless one was using a movie light or had a filter key to insert into the slot on top of the camera. Such a small detachable part is easily lost and when buying a camera online one should take care to get one with this filter key. If not you might be in a pickle as I was…until I found references to the coin trick. If you insert a dime or quarter into the filter key slot, it will disengage the 85 filter! What they don’t tell you and that I had to learn for myself is that you don’t insert the coin, you slam it in, push hard! There’s a lot of resistance, and I was afraid that I would break something, but it just needed that extra bit of elbow grease. Also the dime is finicky, and takes some wiggling around sometimes to get the correct position, though it is more compact (also harder to get out). What better use for a Canadian quarter? Queen Elizabeth can oversee my filmmaking endeavors. The camera has its downsides too. No exposure information like f/stop is projected through the viewfinder, so what benefit can be gained from the exposure compensation dial is dubious. While it has a single frame option, there’s no intervalometer. The lens’ widest angle is 8mm; the top-of-the-line LD-8 widens that out to 7.5mm, but there are plenty cameras that go much wider. The handle doesn’t fold up so it’s not as compact as it could be, also its metal construction makes it heavy to hold in the hand. You can see I’m nitpicking now, right? It’s a robust camera, has a great set of features, and can on occasion be found pretty cheap. I paid $15 shipped for mine, not gonna complain about that. 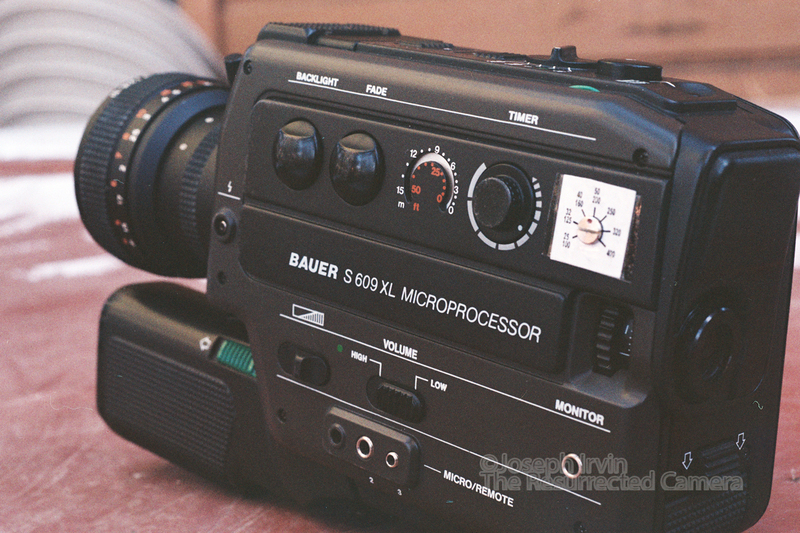 Say hello to the Bauer S609XL, my new super 8 camera. Since Kodak’s super 8 camera has been continuously pushed back, and every time we hear something the price goes up, I thought it was time to future-proof my ability to shoot super 8 film with a high-quality used camera, made in the early ’80s (which means it isn’t going to cost me $2000). The Bauer Neovaron 6-51mm f/1.2 has a reputation as an extremely sharp lens. 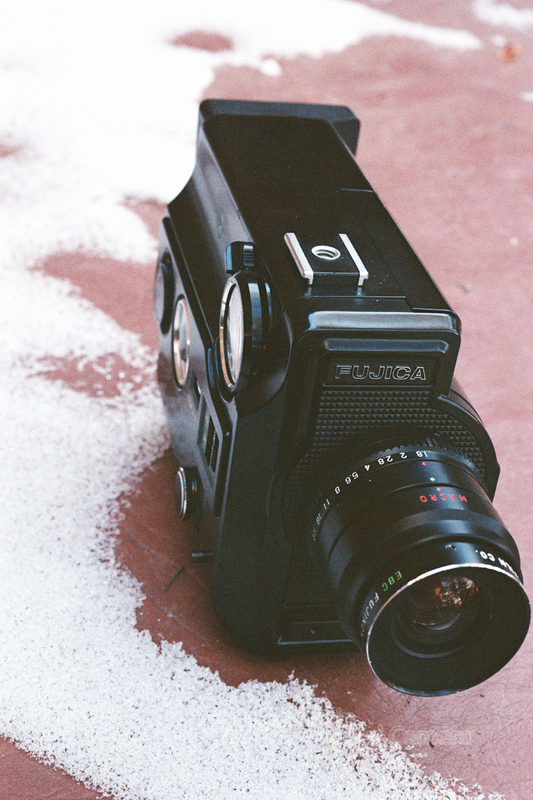 Of course there’s no such thing as a best super 8 camera, every one has its drawbacks. 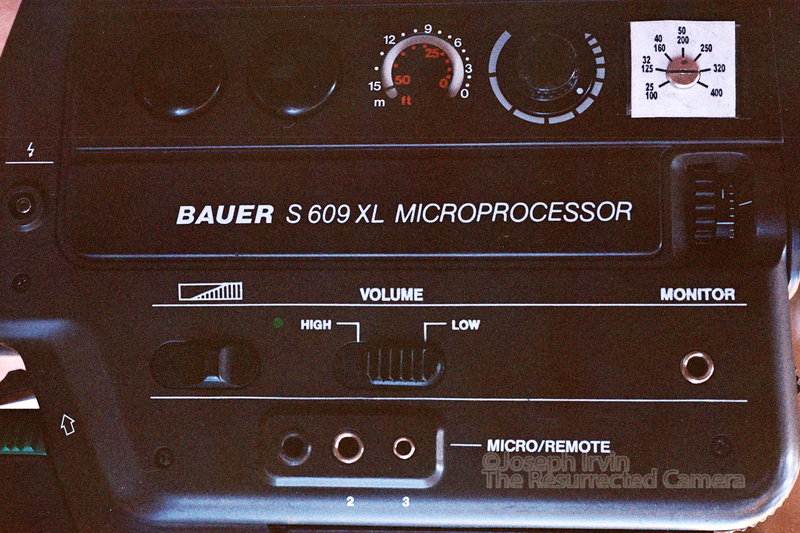 With the Bauers, the most glaring issue is its limited accepted film speeds of ASA40 and 160. I found the solution to this problem thanks to my super 8 compadres Marc Marti and Ignacio Benedeti, who discovered a camera tech in France named Andre Egido who fixes only Bauer and Nizo cameras. I don’t know the full details of how it works, but there must be some potentiometer used for the fine-tuning of the light meter, Mr. Egido drills a hole in the casing and adds a knob with correct markings so that one is able to manipulate the auto exposure at will and set either 40 or 160 to a lot more film speeds. This means that I can correctly expose the new Ektachrome 100, Kodak 500T, and whatever else comes along in the future. The S200-700 models can be modified to read any ASA25-400, some of the others are a bit limited, only ASA40-200, but still a heck of a lot better than nothing at all. And it didn’t cost too much either, thankfully, between buying the camera and having it shipped to France, then the modification, parts, and shipping to me in Colorado. Altogether I spent less than $300. Speaking neither German nor French, I owe an incredible debt to Google Translate. Modern technology can sometimes be wonderful. I bought the camera off ebay from a camera store in Austria, requested it be shipped to Mr. Egido in Paris, being in contact with Mr. Egido previously so that he would know to expect the camera and it worked out…with a few snags. Either Osterreichische Post is very rough with packages or the camera store didn’t wrap it very well, either way there was damage to the filter ring and battery door, requiring that I pay extra for replacement parts (but thank God they’re available). I did ask for pictures of the damage but never got them, so much for trying to claim insurance. I knew it was a gamble, and even with the extra parts it was much cheaper than shipping from Austria to America to France. The downside of course being that one cannot verify the condition beforehand. I mentioned that the Bauers’ most glaring issue is its limited film speed reading? The other big downside (for the XL/existing light models) is its fixed shutter angle of 220 degrees, about 1/40 second, a bit blurry for fast motion and camera movements. 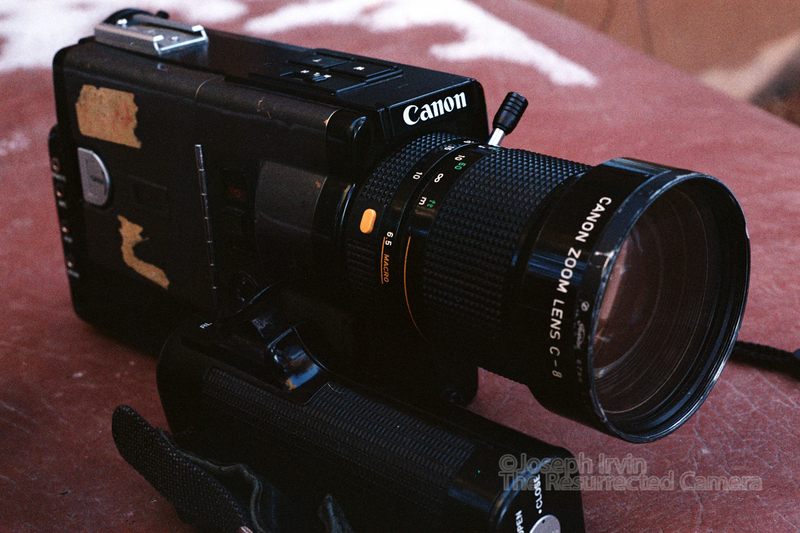 Some have a shutter angle of 150 degrees which is about 1/60 second, and the results are reported to be much sharper because of this, and makes the Canon 1014XLS with its dual shutter angles more versatile (the Canon’s main drawbacks being its weight and a lens that gets quite soft at wider apertures). I’ll see for myself just how blurry that extra 2/3 stop is soon, but it’s my hope that it won’t be too glaring of an issue. I’m pretty satisfied with the work done and the price, having a camera that should be reliable for years to come is a necessity I’ve come to understand in the last few years. If you have one of the later Bauer models, you have a good camera that at the very least can shoot Tri-X, Vision3 50D and 200T. If you send it off for a CLA and ASA modification, and you will have an incredibly versatile camera that should last you a good long time. 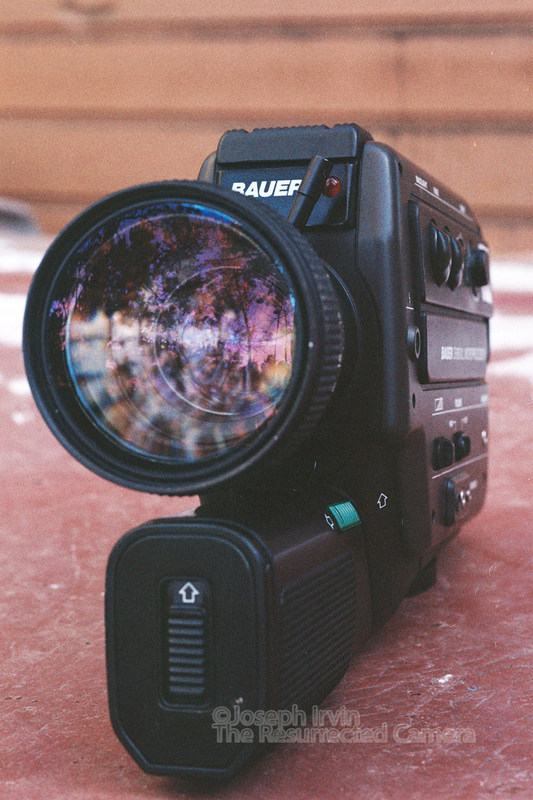 Andre Egido’s website is http://cine-super8.net/ and he has Bauer and Nizo cameras for sale on there, along with film, camera parts, and lots more. To get in touch with him directly, email contact@cine-super8.net. I sent him emails in French using Google Translate, though he does understand Spanish and some English, I think it’s nicer if you use his language, plus I’m told he’s quicker to respond if you use French. (Actually they’re both friends) It was Summer and dry and hot, definitely a memory I need in these cold months. My friends wanted some pics taken for their wedding, I was happy to oblige. There were all the standard pictures that are taken at weddings, though these are my personal favorites. There were two other photographers so I didn’t have the pressure of getting all the needed shots, I could play around and have some fun. It gave me an opportunity to test out the re-released T-Max P3200, plus play around with a new point-and-shoot, one of the Olympus Stylus Epic line. I can’t complain about the camera (at least not too much), because it cost me $3 at the local Goodwill (the battery cost four times that), but I will anyway. The Olympus Stylus Epic Zoom 80 has all the failings of its ilk: autofocus that can sometimes be inaccurate, a pretty salient and distinctive lens flare (or that might be a plus depending on one’s mentality), a flash that must be turned off every time one opens the camera, plus automation in film winding and shutter release that might make one lose a critical shot. 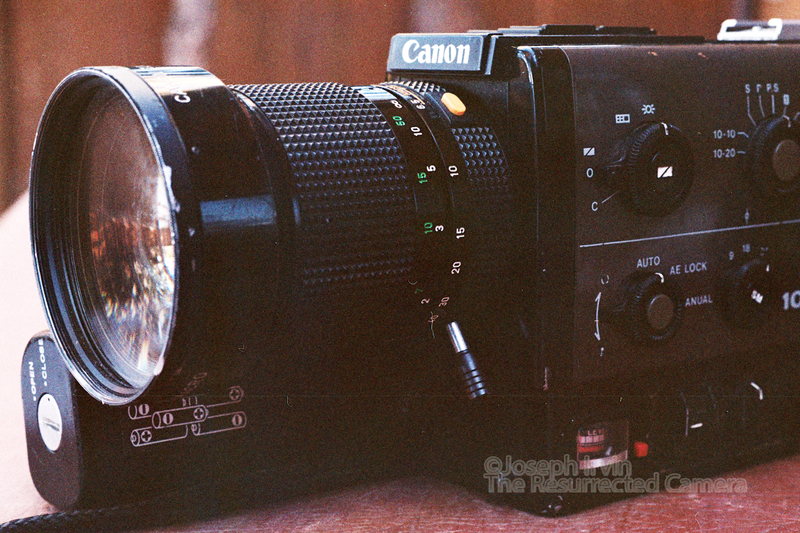 But if you know anything about these cameras you already know all the downsides. For the price I paid I’d say the camera was worth it. It’s small enough that I can carry it in a pocket or around my neck everywhere I go, and for that purpose it does what it needs to. For off-the-cuff shots during a wedding it was a good compliment to an all-manual camera; the zoom lens–though slow–came in handy too. As for T-Max P3200, the jury is still out for me, but this is only my first roll of the stuff and I’ll admit that I did the film no favors by shooting it in the Colorado sun. I mostly wanted to look at the grain structure and can see that it will not handle high-contrast scenes as well as Tri-X, but then it’s designed for low-light shooting. I actually pulled the two shots that show the film to its best advantage, and I don’t think they stand out too much from the Tri-X I also shot. I fully intend to use this film for shooting inside where it’s dark, so until that I have nothing to say about the film yet.